I just read on Batman on Film that the folks over at Total Film talked to Christian Bale about his current projects and what’s up with the next Batman movie. Sign me up. I admire the fact that he wants the story to be right, and that he accepts the challenge of making sure the third one honors what they accomplished in the first two — finding the heart of Bruce Wayne without compromising the power of Batman. I know what I’d like the third one to be. I know how I’d like it to end. And I’m sure that Bale and Christopher Nolan and the rest of their team will once again deliver something better than I could possibly imagine. 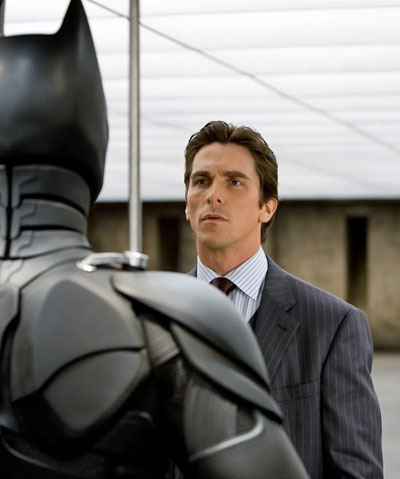 With Christopher Nolan making a science-fiction thriller called Inception next, it will be a while before production begins on a the new Batman movie.